When we think about the Lincoln LS we think about the modern version which is a pretty reasonably sized car that drove well in V8 trim with its 'cute' little 3.9 V8 that it shared with the remodeled Thunderbird. Just as 1959 was a pivotal year for GM design between their barge like '58's with their Harley Earl chromed excess, and the arrival of their finned counterparts in the '59 (Deer Hunter) Cadillac, Buick's renamed trio Electra, Invicta and LeSabre, the wide-track Pontiacs and the ultra finned Chevy Impala and Biscayne, 1961 was the year of major change over at Ford. Compare the difference between this huge 1960 LS as compared to the 1961 Lincoln Continental that was completely re-proportioned. If you're looking for all the tonnage that Fomoco could offer up in 1960, this is it! 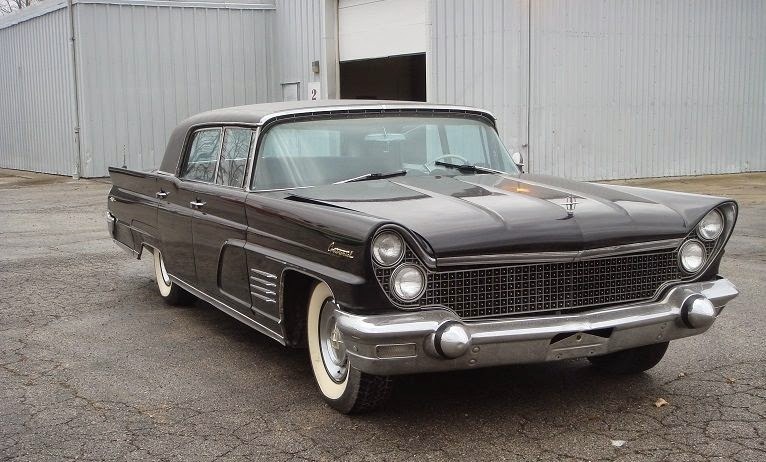 Find this 1960 Lincoln Continental Mark V Limo currently bidding for $4,610 here on eBay , located in Montpelier, OH with 2 days to go. This Lincoln Continental Mark V (not to be confused with the '77-'79 Lincoln Mark V) was a leftover from Ford's Continental brand, which although sold & maintained at Lincoln dealers, was an attempt to provide extreme luxury like Chrysler's Imperial brand. 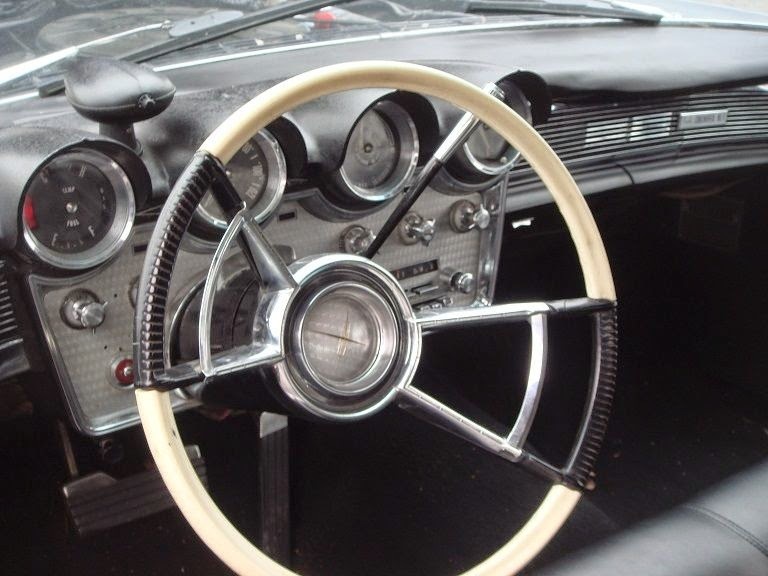 The Continental Mark V was a massive piece of iron with unique mechanical underpinnings that were not shared with Ford or Mercury. 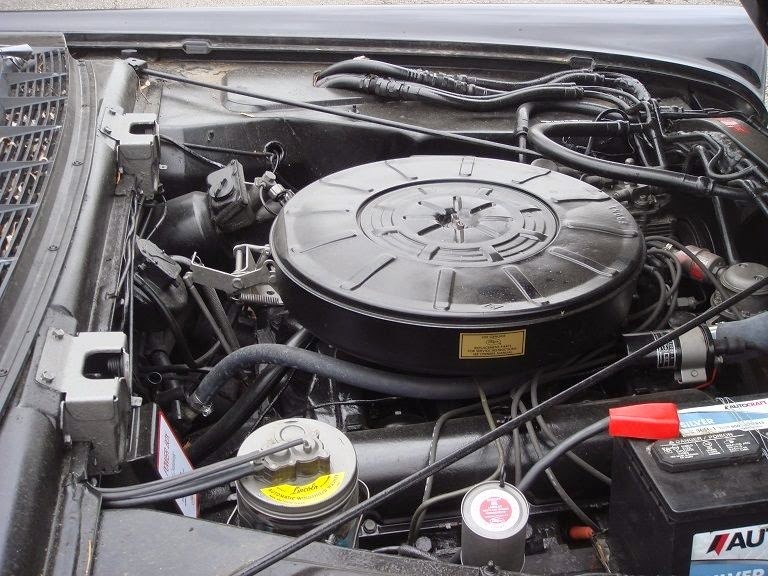 Power comes from Ford's 7.0 liter (430 cubic inch) "Bulldozer" MEL V8, a massive pushrod and carburetor equipped beast that pushed out 315 horsepower and 465 ft-lbs of torque. The Continental tips the scales at a massive 5500 lbs, so performance won't be blistering, but it should be good enough to scare the pants of your passengers when you hit a bump at freeways speeds. 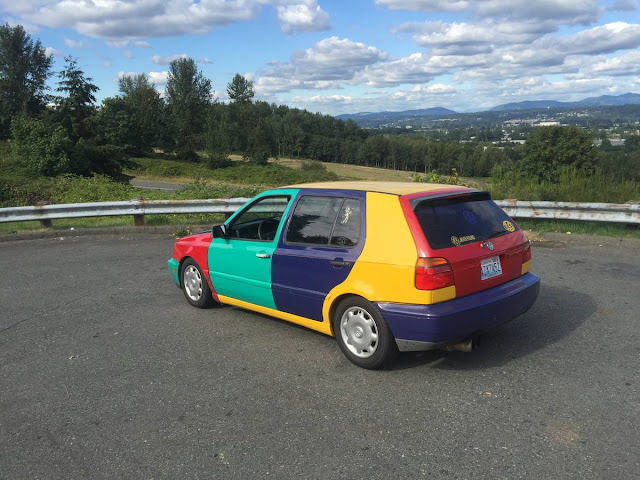 The condition of this car is a big question mark, the seller describes it as "99% all there. It need to be restored to its original glory" -- but, it looks decent in the photos. This is the Limo version, but it is missing the privacy glass and partition, so if you want something for hauling around the kids, you'll need to replace the glass to avoid listening to yet another round of "Let it go!" This, a CV8 and a Vitesse and you're halfway home. Zach -- so true. You'll need to take the bus the rest of the way. Eh... with a bit of bailing wire and a few homemade electrical jumpers you'll get the entire way there. Where did my bus ticket go? Love this beast. It has real presence (and soooo much of it). The rusty frame could be scary. I am used to unibodies, so I don't know if a rusted frame automatically indicates other hidden rust. By the way, what is that pod thingy on top of the dash, to the left of the speedo? the pod, if similar to the '62 pontiac catalina we had is the auto headlight dimmer. leave the high beams on and when light from oncoming cars hit it it switches to low beam. I had a beautiful, low mileage, rust free 1959 Mark VI back in the mid-70s when I was around 20 years old. I got it for $1700 back then because the steering gear box would turn the wheels while the car idled in place. Fixed the spool valve and I had a like-new car that all the old guys drooled over. It was the largest unibody car ever made! You can detect the unibody flexing when you entered angular inclines such as steep driveways. I could only imagine how the structural integrity is compromised on this car for sale with the sub-frame rust. The interior is probably a hint to the quality of the rest of the car. Walk away from this car, no run away from this car! Find another one in better condition. That is tough to say as I think this limo roof looks more awesome than my breezeway style rear window that I had. Looks good in the pictures? BaT must have missed the three underside photos. When I saw them my heart stopped for an extra microsecond. .. It wouldn't really matter if you were going to rod-it-out. Just cut the bottom out and paste in a little something from Art Morrison. Lots of fun for the non faint of heart and pocketbook. Who must have missed the pics?? :) When I said "it looks decent in pics" I was referring to the interior...not the Swiss cheese chassis, which is frightening.